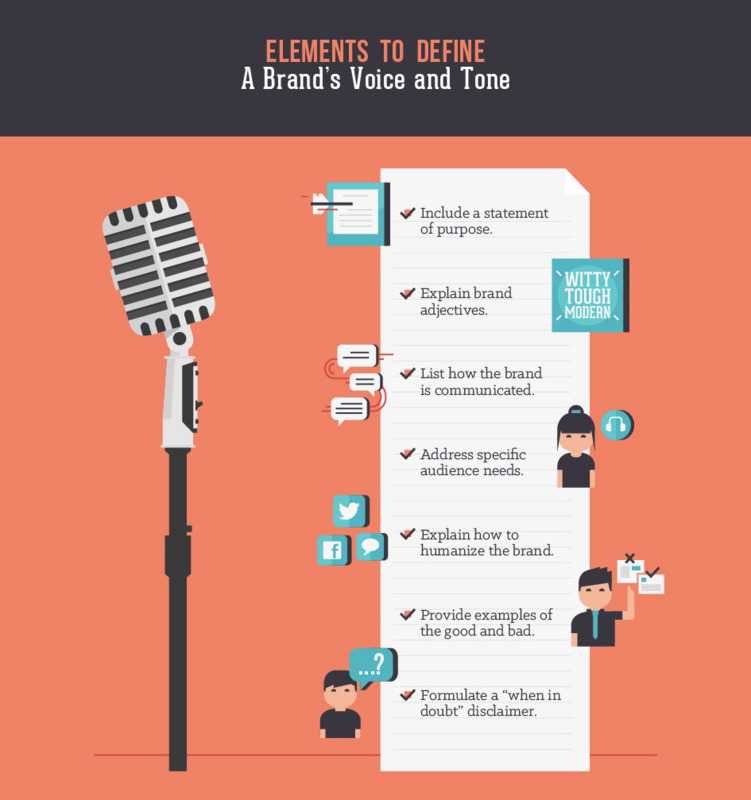 Defining your brand’s voice isn’t a one step process. It is, however, a crucial element of branding. In a nutshell, brand voice is the pillar for all communications. It determines the personality of your brand—by way of the words, phrases, and tone used on on your website, social media, and products—and sets the tone for each and every connection with your audience. Sticking to brand guidelines gives customers (or potential customers) a concrete sense of a brand. Not sure where to start? We will focus on creation of a brand's voice, style, and customized dictionary to create initial branding guidelines. Research First: What Are Other Brands up To? Many brands put their guidelines (or partial guidelines) online. For starters, research what other brands are doing. Enterprise brands often have extremely long and detailed branding guidelines, but it's okay to start off small. Many brands have effective one-pagers. It's not about the size of the guide, but how it's focused on solving common issues. Take note of what seems to be working for others in your space and out of your space for brand guide inspiration. Unless an individual is working with a brand-new company, it's important to research the history of a brand. Sit down with colleagues who understand the past processes, or lack thereof, that surround copy and content creation. Talk about branded terms, style choices, and language evolution. 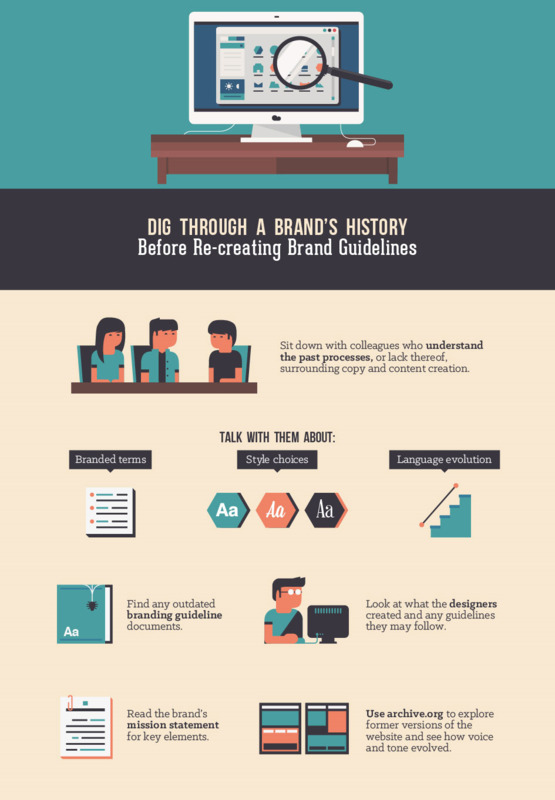 Find any outdated branding guideline documents. Look at what the designers are up to and any guidelines they may follow. Read the brand's mission statement for key elements. Use archive.org to explore former versions of the website and check out how voice and tone evolved. Words don't magically appear on a website or web property. Someone has to create them, but writers—whether they're copywriters, marketing communications, communication specialists, or marketing and product writers, etc.—don't work alone with their laptops carving out the best words. Often times, they're not the only one word-smithing, and for most companies larger than five people, those writers shouldn't be the only ones creating copy. They're also likely not the only ones who care about branding and quality of copy. However, they're the one in charge of wrangling the documents, facilitating the creation and editing processes, and serving as a further resource. Even brand-new companies probably have ideas about who they are and who they aren't. A great group exercise is to ask all the stakeholders to classify adjectives that define the current brand, where it’s going, and what it is not. Take, for example, a B2C brand selling wedding invitations. Currently the brand is: romantic and airy. In the near future, the brand may be: elegant and elite. The brand is not: cheap or tacky. Depending on the group, a person may want to employ a card-sorting method with pre-selected adjectives in order to find the brand's personality. At the end of this exercise, all the stakeholders will want to agree on three to four adjectives that define the brand. These adjectives will serve as markers for future brand decisions. Statement of purpose: Start off the guide with a statement of purpose, so those reading can understand why both voice and tone are important. Empowerment of others to write for the brand is key to making sure they are able to follow the guide without being intimidated. Explain brand adjectives: Use those adjectives and explain how they inform voice and tone. For example, if a brand is emphatic that translates to its voice and tone. Content should be respectful of others’ thoughts and feelings, which means the brand should offer and accept constructive criticism. Make sure to give practical and emotional examples. List how the brand is communicated: Depending on the company, audiences may have many touch points to interact with the brand's voice and tone. While a website and social media accounts may be obvious, don't forget to include other branding sources such as swag, conference booths, events, internal company reports, and the office itself. Address specific audience needs: Even if the brand hasn’t created specific personas or have other clear marketing segmentation, there are probably some large audience groups that make sense to include. For example, an educational company selling courses that teach programming will want to uniquely address different skill levels of programmers. They're likely to separate students into beginner, intermediate, and advanced audience groupings. With beginners, they won't want to make assumptions around jargon that they can be more certain advanced programmers will know and understand. Examples of the good and bad: Provide at least one example of good voice and tone and one example of bad voice and tone. Use real examples, if possible—everyone has a past—and make it clear what was right and wrong. Avoid using competitors or other brands as examples unless absolutely necessary. "When in doubt" disclaimer: Include a "when in doubt” disclaimer to empower and reassure others. This can be as simple as “ask a colleague for a second opinion” or “email an editor alias.” Avoid choosing just one person as the focal point for a second opinion as this hampers work and can roadblock projects. Style guidelines work to answer questions primarily about grammar and spelling. They guide writers to be consistent with their choices. Remember, if there's something that doesn't fit the brand, the in-house style guide can always override it. For instance, if a brand chooses AP style but feels the serial comma offers clarity, there can be an exception. 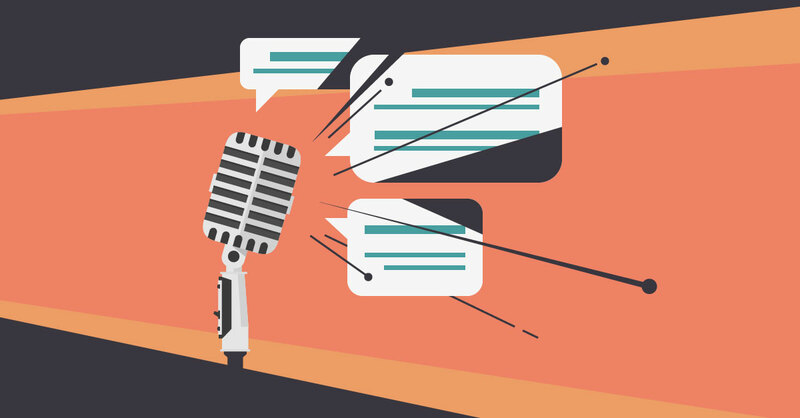 Voice and tone come first: Language, especially on the Internet, is constantly evolving. It’s crucial to consider voice and tone first over precise grammatical style. For some brands, it's perfectly acceptable to use words or phrases that may be frowned upon in research papers, such as lol, ihmo, idk, or j/k. Context always comes first, and what may work—say in a tweet—may not be appropriate for a web page thanking a customer for making a purchase. Call out specific style habits and needs: When specifying in-house rules, make sure they're relevant to the brand and potential writers. It's also good to include common mistakes seen in the brand's copy. For example, a Canada-based brand that employs bloggers from the UK will need to address navigating differences in Canadian and British English. They may decide that on the blog, where posts are credited to an author, British English is okay, but for homepage copy or in other marketing materials, Canadian English rules should apply. As a brand grows, many customized words will pop up. From names of important products to ways to address employees, these should all be included in a brand-specific dictionary or lexicon guide. After all, a brand should make sure to be on the same page internally before communicating with customers. Often passionate stakeholders will have strong opinions on how to use these branded words. It's important to come to a consensus about contested words. A brand may end up with two dictionary documents: current branded words and words to be decided on at a later date. And don't forget to include legal. A brand may own trademarks; words should be presented the same way they are trademarked. The dictionary may also help legal find words they should be trademarking. As a brand ages, it's likely to outgrow words or retire some branded properties. Make sure to include a section of historical terms and show the evolution of others. After initial creation and approval, share the branded voice, tone, and style guides with everyone in the company. Many companies have all-staff gatherings to present to and empower everyone. Other times, company meetings may need to be called. Don’t forget to invite anyone. Sometimes brands may overlook certain employees, either due to rank or job function, but everyone working for a brand writes something, even if it's just internal emails. Provide easy access to these documents for viewing and also for commenting. Take feedback graciously and be able to explain why certain choices were made. As colleagues write, empower and encourage them. Not everyone's going to remember everything, so be patient if all brand communications aren't perfect immediately. After all, the style guidelines themselves are never a finished product. Set up regular times to review and revisit this living document. Don't let it catch mothballs. A brand changes every day and so should its voice, tone, and style. The more a brand puts these guidelines into practice, the more copy and content will be fine-tuned and help to exemplify just who that brand is.